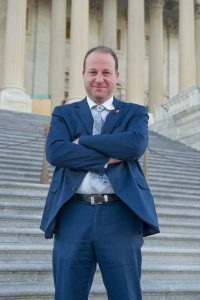 Jared Polis was first elected in 2008 to serve Colorado’s 2nd Congressional District in the U.S. House of Representatives. He was re-elected to a fifth term in 2016. Boulder Magazine publisher Tom Brock interviewed Rep. Polis at his Boulder headquarters on April 18, 2017. 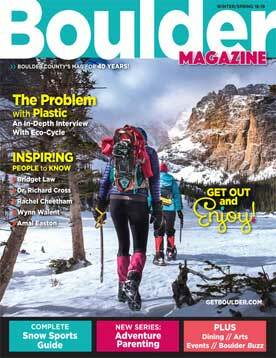 Boulder Magazine: You’ve been successful as an entrepreneur, and there are lots of ways to contribute to society. Why did you decide to run for a seat in the U.S. House of Representatives? 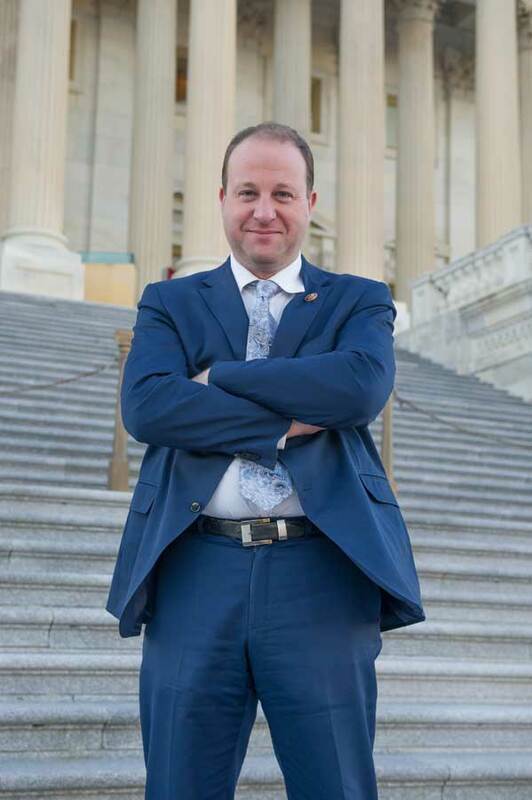 Jared Polis: Well, I have a passion for giving back and ensuring that more Coloradans and Americans have the opportunity to succeed in creating a more sustainable way of life for our country and the planet. That’s really what led me to public service, first with the State Board of Education and then with Congress, to really try to move the ball forward in improving our schools and protecting our environment. Absolutely. I’ve been honored to be able to try—sometimes successfully, sometimes unsuccessfully—to have an impact in so many different areas: in starting businesses, starting nonprofits and starting schools, and now in Congress. I definitely feel like focusing our efforts now resisting the extreme elements of the Trump agenda and trying to move forward where we can is a very important task, and I’m honored to do it. Against the backdrop of a Republican majority in the House, how much influence can you as a Democrat, or House Democrats overall, have on influencing policy? There so many issues that are bipartisan, and to be an effective legislator, I work across the aisle. I passed the Email Privacy Act to protect the privacy of emails from government search without a warrant. 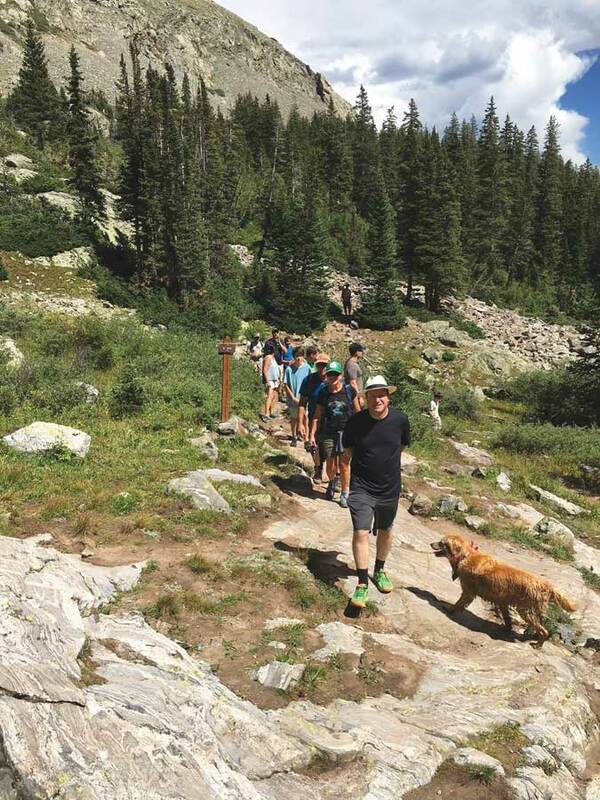 I passed a bill to extend the boundaries of Rocky Mountain National Park in Grand County, and there are a number of bipartisan efforts that are underway. That being said, it’s also an opportunity for Democrats to stand in resistance and in opposition to the extreme, divisive elements of the Trump administration. So that’s the other opportunity to communicate that alternative vision and to serve as a rallying point for marginalized Americans like people of color, the LGBT community and the immigrant communities, to show that we stand in solidarity with them. As the lead Democrat on the education committee, you’re on record as opposing much of what Betsy DeVos and the Trump administration have proposed. Where is your disconnect from them in education? affordable. The agenda that we’ve seen Betsy DeVos and Donald Trump replace that with is how do we privatize our schools and shift money away from our public schools to private schools. Independent schools are fine, and certainly there are many families in Boulder County that send their kids to them, but we should not divert public resources from our public schools, where they’re sorely needed, simply to further prop up the independent schools. Do you think there will be a solid future for public education? Because President Trump is attempting to increase the military budget by $50 billion, when we already spend as much as many other countries combined, he’s putting a strong downward pressure on all of the nonmilitary parts of the budget. That’s why they’re talking about education cuts in the Trump budget. They’ve zeroed out AmeriCorps, they’ve zeroed out PBS Kids, there are huge cuts to the programs that support our schools. We hope to fend off some of those. President Trump’s budget is not the Congressional budget, and we certainly know that we’ll rely upon the Republican allies that can protect those funding streams to our public schools. You’re also concerned about climate science. Thousands of jobs in Boulder County depend on federal funding for climate science and science in general. How do you see this playing out in face of the Trump agenda? There’s a two-front war on climate science. On one front is the general war on science, and on the federal investment in scientific research across the board, in part due to the budgetary pressures caused by trying to increase the military budget. But there’s also a targeted war on specific kinds of science, namely climate science and stem-cell research, for ideological reasons—simply because politicians don’t like the results of those scientific studies. They would rather keep their heads in the sand, and that’s a very dangerous precedent. Climate science is one of the most important areas of expanding human knowledge to deal with the complex, changing climate realities in the world. There also are local impacts to those decisions and climate-science funding, because Boulder County is such a center of climate research. What are you doing to help save some of the jobs here—at NIST, NOAA, NCAR and other institutions? We want to defend those not only as jobs that we want to keep, but as important work that needs to be done on behalf of the country, which it is. So that’s the story we take to the floor of the House to publicize the efforts of scientists at NOAA and NIST, NCAR and CU, talking about the importance of that work to farmers across the country, to the tourism industry, to the U.S. military in keeping our nation safe. Is this message lost on some of your Republican colleagues? We’re in a slightly better place than perhaps a decade ago. If you recall, a decade ago it was a standard line of many Republicans that there was no such thing as climate change, it wasn’t occurring. Some called it a hoax, including the current president of the United States. A lot more Republicans today, in fact most of them, have pivoted to “Yes, climate change is occurring.” Now they say we don’t know if humans cause it, we don’t know why, we don’t know how soon, but there’s a general acknowledgment of the increasingly undeniable fact that climate change is occurring. Yes, even they know how to read a thermometer and look at all the charts. It couldn’t be clearer in the pictures of the melting polar ice caps. … It’s undeniable, and while they continue to lack the political will to do something about it, there is growing acknowledgment of the problem. What would four years of inaction on climate change mean, from your perspective? I would hope that it’s not four years of inaction, because while it’s four years of federal inaction, there’s a lot going on at the state and local levels, even right here in Boulder, regarding municipalization, the renewable-energy debate, and looking at pushing the envelope on climate. States have taken up leadership roles, California is in an international carbon-exchange market with Quebec, so there’s a lot happening, it just isn’t happening at the federal level. So I hope to continue to encourage and support local, state and international efforts with regard to climate. And, where we can, fend off harm at the federal level. One ancillary climate concern you have is fracking. Could you expand on that? I think that we need to have a better statutory framework in the state for allowing local land-use processes to have their say over oil and gas development. 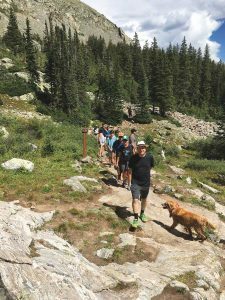 A fundamental dilemma that we face is that there’s a tension between the traditional role of cities and counties with regard to land use, and the statewide mineral rights that exist, as adjudicated by the Colorado Oil and Gas Conservation Commission. So I’ve long supported a more favorable state framework that allows for a lot of those important fracking decisions between the urban and suburban interface to occur at the city and county level. A second fracking issue concerns wellhead emissions. Describe the bill you introduced in the House. Basically the bill removes the exemption that fracking has from the Clean Air Act and the Clean Water Act. Fracking has traditionally been completely exempt from the Clean Air Act under what’s called the Halliburton loophole, which is technically referred to as the small-site exemption. That’s because what’s referred to as the fracking pad has a minimal emissions profile, but when you start looking at tens of thousands of active wells in Weld County, there’s an extensive emission profile that cannot be rounded down to zero by the federal government. We simply can’t afford to ignore the emissions of tens of thousands of wells. It’s why there are areas of northern Colorado and Wyoming that have worse air quality than downtown Los Angeles, and it’s something that should be looked at as part of overall air-quality issues in addition to climate issues. So it’s air quality relating to health, to asthma, to carcinogenic effect, and also, of course, climate. Again, you don’t expect help on this from the Republican Congress? That’s right. I think what’s tragic about a lot of the decisions being made to gut the EPA, to fail to use their authority to protect our clean air and water, is that public health and people will be harmed. It won’t just be increases in asthma rates, it won’t just be additional climate-change emissions and carbon emissions, it’ll also be increased cancer risk, increased disease risks for pregnant women. So we rely on the Environmental Protection Agency, as charged by Congress, to protect our clean air and water, and the Trump administration is trying to prevent them from fulfilling their congressionally mandated mission that is also an absolutely critical mission to keep America healthy. Immigration is a priority topic for you. Is reform possible? What are your main battles here? Well, first we need to push back against the rhetorical demonization of our immigrant community, as well as the enforcement priorities and rules that continue to terrorize and tear apart families here in Colorado today. That’s why I launched a communications effort called SAINT, which is Saved by American Immigrants National Taskforce, highlighting the lives of Americans who were saved by immigrants—pulled out of a car crash or saved from a fire in a building, or from crimes that were prevented by bystanders who happened to be immigrants. Many Americans are alive today because of actions by immigrants, and this is in contrast to the Trump administration’s plan, as he announced in his Joint Address to Congress, to highlight crimes committed by immigrants. Immigrants commit crimes at a substantially lower rate than those who are born in this country, and yet there’s a deliberate propaganda effort to warp that into a frenzy of anti-immigrant sentiment. That’s what we’re trying to resist rhetorically. In regard to the law, I continue to be hopeful that Trump will allow the Deferred Action for Childhood Arrivals, or DACA, program to continue. So far he hasn’t cancelled it. This is the program [the Development, Relief, and Education for Alien Minors Act] under which over 770,000 DREAMers—people who grew up in this country, know no other country and have gone through our schools—are able to work legally. If Trump were to cancel that program, it would force over 770,000 aspiring Americans back underground and prevent them from being able to work legally. If there’s one attribute that members of Congress generally share, it’s not a particularly high level of intelligence, it’s not a particularly high level of experience prior to serving, it’s stamina. Isn’t one of the issues that you can’t apply for citizenship until you’re 18? There’s a general frustration because no one in this group can actually apply for citizenship. I brought a DREAMer to the State of the Union—Oscar, a young man from Longmont—and what’s frustrating to him is that people ask, “Why don’t you just become a citizen? Why don’t you just go through the process?” Well, it turns out there is no process to become a citizen if you’re undocumented here. There is no process to normalize your status if you’re a DREAMer. Oscar, and so many other undocumented residents of our country, would love nothing more than to go through whatever path we put in front of them to become citizens. Whether it means learning English, whether it means taking a test, whether it means paying a fine, they would line up to do that. And when we talk about immigration reform, it’s simply talking about a process to allow people to emerge from the shadows, get right with the law and someday earn citizenship. And they would get in line today behind those who have been doing the legal immigration process. At least there would be a line. Today there is simply no line to get into. There’s not even a process to citizenship? Not even a process. There is absolutely no process. They would have to be readmitted. In many cases you have parents of American children, like Jeanette Vizguerra, who I visited. Up until recently, she was hiding out in the basement of a church in Denver even though she actually has a path to normalization. She has a pending U-visa application as a victim of a crime. She will likely get permanent status, but until she gets it, she is at risk of eventual deportation and being ripped away from her children. What about Trump’s wall—will it be built? The good news is that the wall will not be built. During the campaign President Trump promised that Mexicans would pay for the wall. I would hope that most thoughtful Americans realize that the Mexicans weren’t about to pay for a wall. And if President Trump wants a wall, he’ll have to force American taxpayers to pay for it, and that’s not a very popular proposition with Speaker Ryan or [Senate Majority Leader] Mitch McConnell. What you will likely see instead of a wall is some modestly increased funding for border security, which isn’t a bad thing. We can make some improvements with our border security preventing the flow of drugs into our country, the flow of arms from the U.S. to Mexico. Yes, there will likely be a photo-op wall somewhere that you will be able to go and take a picture in front of, but it will not be a wall across anything close to the entire southern border. You made an interesting comment at the Boulder town hall about the wall essentially ceding the Rio Grande River to Mexico. That’s right. And there’s the question of where you would even put the wall. If you put it on our side of the border, you would cede the Rio Grande to Mexico, Mexico is not going to give permission on their side of the border. From an engineering perspective, it can’t be in the middle, so you will not see a wall across that border. You will see a photo-op wall. I’m fully bracing myself for the fact that after President Trump poses by this little wall, a good 40 percent of the American public will think there actually is a wall between Mexico and the United States, even though there isn’t. That’s really the danger of this modern age we live in of false “facts” and propaganda. One of the acid tests for this administration was repealing and replacing the Affordable Care Act. What will happen with the ACA? As of now, the first attempt to repeal the Affordable Care Act and replace it went down, and it is a failure because the replacement plan Republicans came up with was simply worse by all accounts. It would kick 24 million people off insurance. It would raise rates 15 to 20 percent for those who were lucky to keep their insurance. Republicans and Democrats both said this isn’t better, this is worse. And that’s why it went down. Hopefully Republicans will be willing to work with Democrats and come up with common-sense improvements to make health care more affordable. My benchmark will always be threefold and a test to look at any suggestion in the healthcare space: Does it expand coverage? Does it make health care more affordable? Does it maintain or grow the quality of health care? If any idea, big or small, passes that test, I will support it and if it fails that test I would oppose it. You’re on record as saying you support Medicare for all. What would that look like? Just drawing from my own experience as a small businessman and entrepreneur before I was in Congress, it puts American companies at a disadvantage to hoist the responsibility for health care onto companies of all sizes. It’s a huge cost factor for big companies, and nearly every other country does that better. If we’re ever looking to grow jobs in our country and make us more attractive for manufacturing and jobs, we have to find ways to transfer that responsibility off of the employer’s back. And one of the best ideas I’ve seen is a simple Medicare-for-all plan that basically establishes a basic level of insurance for everybody. Employers could still induce loyalty and improve morale by offering wellness benefits and additional coverage, or people could buy supplemental benefits out of pocket. At least there would be a basic level of health care for everybody through a simple payroll-tax mechanism. Given the views of the vice president and others in the administration, this has to be a nervous time for the LGBTQ community. Do you anticipate attempts to roll back civil rights that have been gained? I think that among those who have the most to fear in the Trump years are many of our traditionally marginalized communities. These are Muslim communities, immigrant communities, LGBTQ communities. Particularly with regard to LGBT, we’re worried about rolling back the executive orders of the Obama administration, and a halt to progress at the federal level. While the county and society and culture continue to move on, it seems like the Congress and the president are trapped in the 20th century. We’ve got to move forward on accepting diversity in all of its facets, and that’s something that ultimately is going to win the day in our country, with the demographic trends and the culture trends that we have. But there are certainly those who are, for no good reason, making it their business to resist letting people live their lives authentically at every step of the way. climate science and stem-cell research. Similar to this is Attorney General Jeff Sessions’ view on marijuana, either recreational or medicinal, as a gateway drug. Right. The attorney general is stuck in a 1960s Reefer Madness mentality, and without regard to science, without regard to the evidence, he has a personal vendetta against marijuana. It’s perfectly appropriate for an attorney general not to condone marijuana use, just as it might be not to condone smoking. But you have to look at how these things impact society. By all accounts, a legal, regulated system for marijuana not only can help reduce underage use, not only generates tax revenue, not only deals a blow to the cartels, but also can be an important way to improve the public health by having these discussions in public and above ground. Look at the success we’re having in reducing tobacco-smoking rates since the 1950s. Had cigarettes been illegal we likely wouldn’t have had that same success. We’ve been able to have a national discussion about the carcinogenic effects and the effects on pregnant women, and we’ve been tremendously successful in reducing smoking rates. I think we can also be successful in having that national discussion on the health impact of marijuana over the next several decades. When it’s illegal you simply can’t even have that discussion. A huge policy debate is looming on Trump’s proposed 2018 budget. How will this play out? The good news is that presidents don’t get to set the budget. In Article I, Section 1 of the Constitution, Congress has the power of the purse, and Trump’s budget, like the budget of previous presidents, will fall on deaf ears in Congress. That doesn’t mean that Congress won’t feel the same need to make tough cuts because of the military spending increases; they will. But I’m confident that many of those programs that the president zeroes out, like the National Endowment for the Arts, like PBS Kids, like Meals on Wheels, will hopefully be restored by Congress, if not up to their prior levels, at least to a level that those programs can continue to function. One concern is when a huge cut—to the EPA, for example—is asked for, any smaller reduction may be a victory for the opposition, but it’s still a reduction. Trump is asking for a 34-percent EPA cut and it will likely be less than that. But in the case of the programs that are zeroed out, yes. For example, President Trump is talking about zeroing out AmeriCorps. AmeriCorps did amazing work during our flood recovery—hundreds of people came, digging out mud and helping people. They do work at our schools every day, in our youth centers. If they were zeroed out it would be an enormous setback for the entire social-service sector. A major issue to you is Syrian refugees. What should the U.S. be doing? When you look at the humanitarian crisis in Syria, caused by both Assad and the various rebel groups including ISIS, it demands a humane response from the West. A big part of that response has to be providing a way for people fleeing that violence to find safety, in refugee camps or through permanent refugee status in different western countries. The answer to those mass civilian slaughters through chemical or conventional means is to help people find a way to get out and avoid being caught between Assad and ISIS. That’s why I’ve repeatedly called on President Obama, and now President Trump, to allow our reasonable fair share of refugees as other western countries have done, along with making sure that they’re fully vetted and can contribute to this country. Trump has taken a more bellicoseposition internationally than President Obama. Didn’t the cruise missile attack on Syria raise issues regarding the War Powers Act? Yes. President Trump did not consult Congress with regard to the strike in Syria; in fact he did it the day Congress left town. A president, for an attack on a nation-state, should have to consult Congress before engaging in that type of activity. So that’s different, for instance, than the use of authority under the Authorization for Military Authority in the bombing of an ISIS terrorist training facility in Afghanistan, which is permitted by Congress. A strike on Syria is not permitted by Congress. So there’s that legal argument there. But there’s also the argument of whether it works, whether it accomplishes anything. What was the goal, and did it accomplish it? At this point Congress hasn’t even been briefed on it. Whether we will, I can’t say. Congress wasn’t briefed or consulted at all prior to the event or after the bombing. Another hot-button topic is the Trump-Russia connection. The House investigation is back on. How do you see this investigation unfolding? There are at least three separate ongoing investigations into the connections of the associates of Donald Trump and potentially the President himself with Russian oligarchs and Russian intelligence agents for purposes of manipulating the results of the last presidential election. There’s an FBI investigation, there’s a Senate Intelligence Committee investigation and there’s a House Intelligence Committee investigation. The best way to have full and transparent accounting for the American people would be to have an independent, nonpartisan commission, and I’ve sponsored a bill that would do that. I hope that there will be increasing public pressure such that Republicans stop standing in the way of the full accounting the American people deserve with regard to whether there was any collusion between associates of the president, or potentially the president himself, and foreign powers during the last election. In the absence of that, I still have some degree of confidence that these three processes we have in place will get to the bottom of the matter. Where there’s a lot of smoke, we just have to see where those actual fires are. If Trump or his associates are found to have conspired with the Russians or other foreign powers, what action should be taken? Well, I think it’s highly likely at this point that there will be some associates of Trump that had some role in the campaign that will be brought up on criminal charges. What we don’t know is what did the president know, what did the president direct, did he know it, what did he do, and those all remain to be seen. This is why we really, truly need an independent commission, but at the very least, we owe a full accounting to the American people of how high that level of involvement went with regard to collusion. How do you compare this to Watergate? It’s a much bigger scandal. I mean, what happened is much bigger, and there was no excuse. Watergate was terrible and wire-tapping is inexcusable, but collusion with a hostile foreign government rises to an even higher level. Again, we simply don’t know at what level that occurred, and there’s a lot of smoke and a lot of mysterious meetings with Russians, a lot of undisclosed meetings with Russian agents. We just have to see where that all leads. But certainly there’s a lot out there that would cause a reasonable person to think that some illegal act occurred. You represent a politically diverse Congressional district. 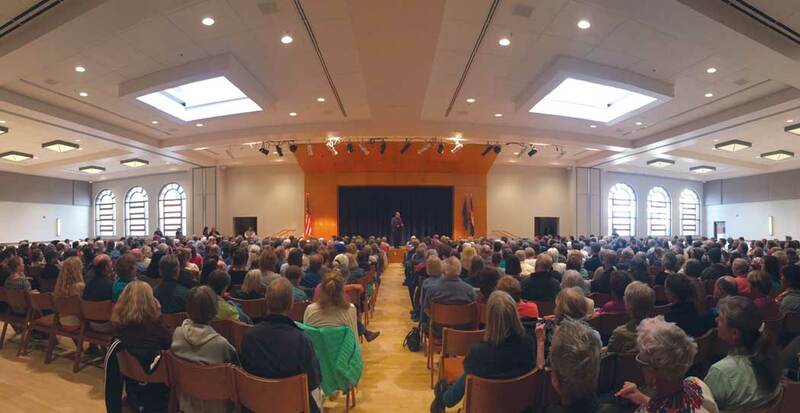 Your recent town hall in Boulder was very supportive. Town halls in Loveland and Fort Collins followed. How were they different? Well, they weren’t. A lot of people don’t realize how vast a Congressional district I’m honored to represent. It goes all the way up to the Wyoming border, it goes out west past Vail, it goes down south, southern Jefferson County, even Park County, Bailey. 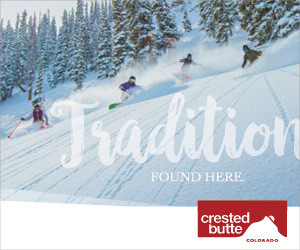 So it’s a big district and it’s a diverse district with rural areas, mountain areas, and suburban areas and our two premier college towns, Fort Collins and Boulder, so people have diverse opinions. I try to faithfully represent my values and am always happy to explain and discuss and defend why I believe things. I’m always thrilled to receive input from across the ideological spectrum into what we can do better. My constituents are certainly not shy in that regard. 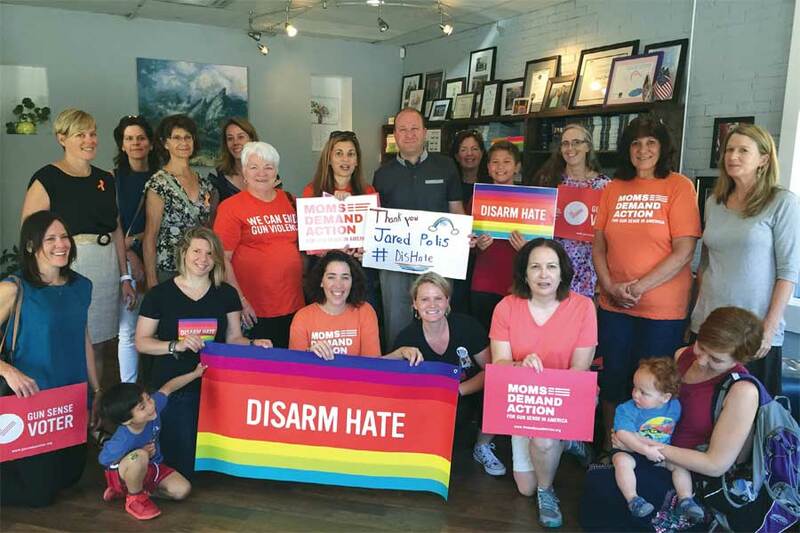 Polis supported Moms Demand Action on the group’s 2016 National Day of Action. The goal of the campaign is to end gun violence. Certainly replacing No Child Left Behind with the Every Student Succeeds Act was a goal of mine in Congress. One of the things that drove me to run for Congress was my frustrations with No Child Left Behind, from the State Board of Education perspective. From having started several public charter schools, I was very frustrated with that federal law. So I got to be on the committee that wrote it, and had most of the priorities that we articulated—like innovation funding for P-Tech schools such as the one at Longmont’s Skyline campus, and dual enrollment for English-language learners—included in the Every Student Succeeds Act. I was on the conference committee that put together the final package in the House and Senate, and it was a very proud moment when President Obama signed that law. You’re still one of the youngest members of Congress, with lots of white-haired colleagues. 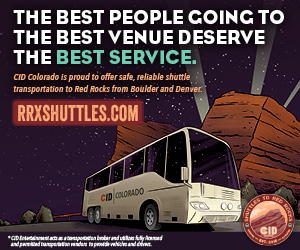 What’s down the road for you? This is a bit of a problem with Congress. Congress should reflect the diversity of the country. That goes for ethnic diversity, gender diversity and age diversity. And one of the biggest shortcomings, while there are shortcomings in all those areas, is age diversity. I was the second youngest member of Congress when I was elected. I’m by no means that anymore, but I’m still among the youngest 10 percent at 42, even though I’m mid-career in many ways. There are people that are perfectly effective and on the ball in their 70s and 80s, but the issue is when the average age of Congress is much higher than the average in the country. Of course we should have people in their 70s and 80s, but there should also be people in their 20s and 30s and 40s. So I hope to bring something of that next-generation perspective to Congress. I know that many of the older members rely on me with regard to tech issues and my explaining to them what different things mean, which I’m happy to do, like why protecting things like net neutrality is important, and broadband policy, which I helped to do. 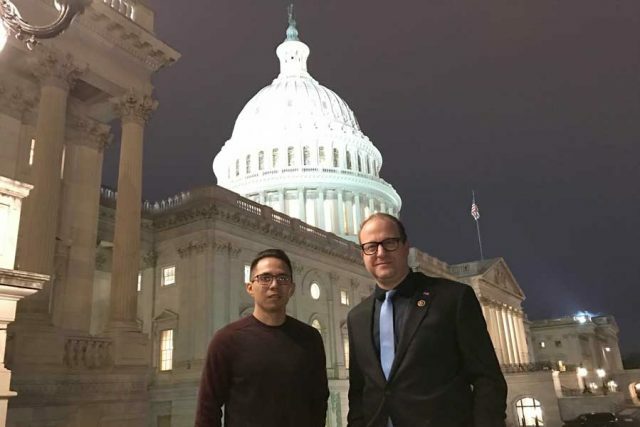 I’m honored to be able to bring to Congress the experience I have in the private sector and education, and I’m also glad that I help increase its diversity in some small way. From a pure energy level, there’s a lot that’s required of you. I’ve been so impressed by the stamina of members of Congress of all ages and all parties. I think that it may be a bit self-electing, but you tend to find that the people that are there have among the most stamina of anybody I’ve seen in my life. I mean, always on planes and working, and we work till midnight many nights. 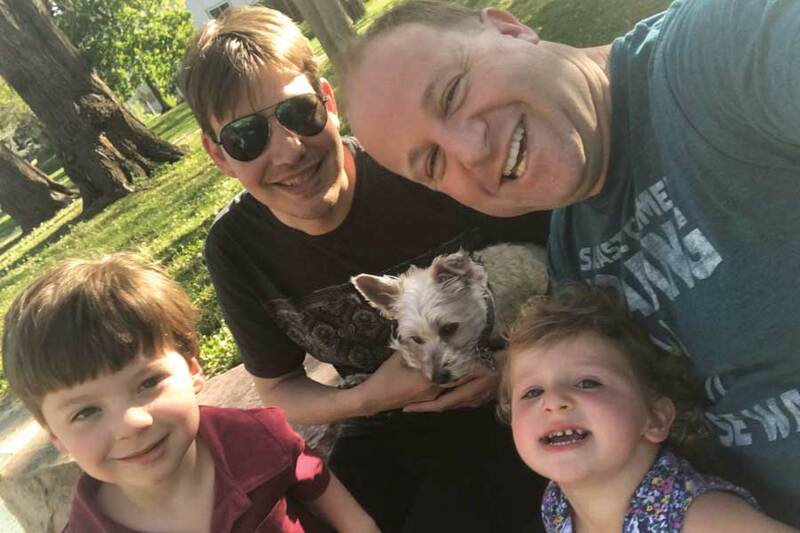 People don’t always know this, but there are many nights where we’re working at 11 o’clock or midnight and up again at 7 the next day, flying twice a week and not only to our district but to other cities helping other candidates. If there’s one attribute that members of Congress generally share, it’s not a particularly high level of intelligence, it’s not a particularly high level of professional experience prior to serving, it’s stamina. 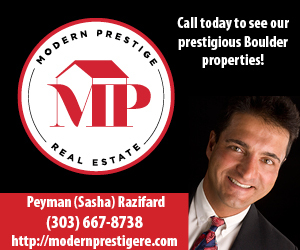 You’ve been mentioned as a potential candidate for Colorado governor. How do you feel about that? My thought process is always where can I make the biggest difference for Colorado and for our country. I’m honored and excited to work on these issues in Congress. I’ll certainly look at other ways I might be able to give back. I obviously care deeply about this state, and I’ve worked on different ways to fund our schools and I’ve been on the State Board of Education and tried to push Governor Hickenlooper with regard to allowing cities and counties to have more authority over zoning for fracking. So there’s certainly a lot of state-level issues I’m interested in. Wherever I can make the biggest impact is certainly where I hope to be for this part of my life. To conclude, you’re a little too young to worry about a legacy. [Polis laughs.] I know some issues really concern you. What’s at the top of your list? Education—making sure that kids, and frankly adults who do job retraining across the economic spectrum of our country, have the opportunity to get the skills and knowledge they need to succeed in an increasingly complicated world. Immigration—to fix our broken system and help America benefit from the great potential influx of ideas and work immigrants have provided. And to support the families that immigrants have traditionally brought our country. In many ways they are now being prevented from doing so by the breakdown of federal law. And certainly, protecting our environment and addressing climate change, and also the health and quality of life that’s so important for not only Americans, but for the world. I wanted to ask about your committees in the House. First, you’re on the powerful House Rules Committee, one of the oldest in Congress. Why did you select that committee? The Rules Committee is often behind the scenes, but it’s actually an extremely important committee. It decides what amendments will be in order and out of order on all of the bills, how long the debates last and what the terms of the debates are, so it really plays an important role in determining what is actually in the bills that the entire House debates. Through my membership in that committee, I’ve been effective in getting my own amendments on behalf of Colorado included, as well as helping other members’ good ideas to see the light of day. You’re the lead Democrat in the Committee for Education and the Workforce. What’s important there? The Education and the Workforce committee has very broad jurisdiction over everything related to our public schools, our universities, labor and workforce development. It’s a really exciting area for me because I’m motivated every day by helping to prepare the next generation of Americans to have the jobs of the future, and to make sure that all of these changes that are occurring in innovation and technology actually work to the benefit of everyday Americans. Your third is the House Committee on Ethics. Is this like policing the House? It is, and the only downside is I’m prohibited from discussing any of the particular deliberations of that committee. It’s evenly balanced between Democrats and Republicans, it’s not a partisan committee, and we’re simply looking to hold Congress and its staff to the high ethical standards that the people of our country demand. Your fourth is the House Democratic Steering and Policy Committee. It must be an exciting time right now, trying to figure out the future. What’s important right now, even amid the process of resistance to some of the extreme proposals like a border wall and a Muslim ban, is working with the Democrats on a proactive agenda for what we would like to see—an alternative vision for the future that’s not talked about by the Republican majority. We will be using our steering committee to highlight a comprehensive reform package to address our broken immigration system, and to talk about full-day kindergarten and expanding preschool opportunities, college affordability, and a proactive plan to reduce our carbon emissions and protect our environment. I’m honored to be the chair of that committee for the first time. We have a lot of new blood and new ideas coming in. It’s really a time for the Democrats to reinvent ourselves and address real 21st-century problems with real 21st-century solutions.